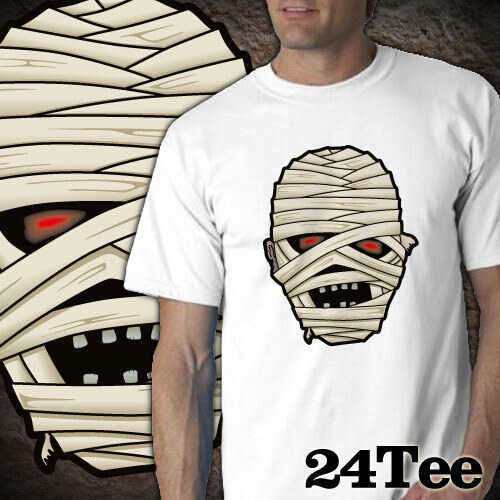 The evil mummy will be available on 24Tee for 24 hours on the 26th October! Perfect for Halloween or any other time you want a horrible mummy on your T-shirt. 24Tee has a new T-shirt for sale every 24 hours and each one is only $10.00! So make sure you remember to head on over on Wednesday 26th October to pick up your evil mummy shirt. It will only be available at this price for 24 hours and then its gone. See size, colour and style options on the product page on 24Tee (when it goes live! ).